At the American Democracy Conference, pundits talk Trump, the Electoral College and what's in store for both parties. 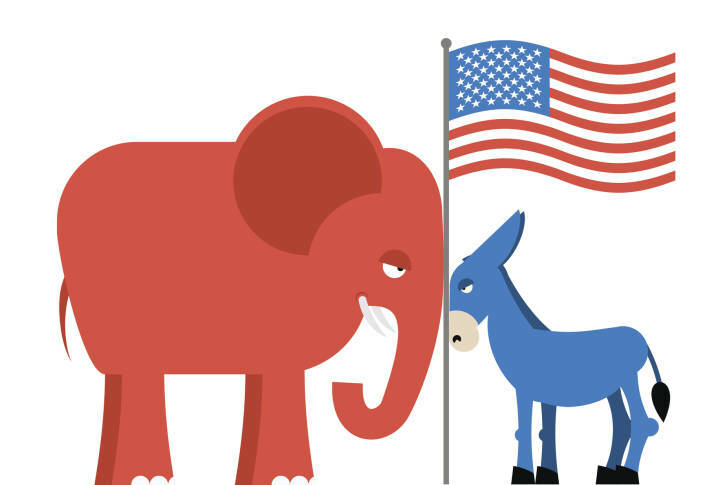 WASHINGTON — Both major parties are trying to learn the lessons of the 2016 presidential election. And there are plenty of would-be teachers. “(Donald Trump) confronted them with the fact that many of their own base voters didn’t want the traditional Republican party platform,” said politics writer Molly Ball of The Atlantic. Ball predicts more intraparty strife. “You have a disruption of the Republican party’s identity that I think is going to play out in a struggle between Donald Trump and the Republican Congress,” she said. Watson, Ball and several others spoke at the 18th annual American Democracy Conference, sponsored by the University of Virginia Center for Politics. Looking back on what gave Trump the win and Hillary Clinton the loss, Ball said it came down to the people who stayed home on Nov. 8 — people who were once energized by President Barack Obama in ’08 and ’12. Emory University professor Alan Abramowitz disagreed. “In terms of the voting patterns — the group voting patterns — the Obama coalition voted overwhelmingly for Hillary Clinton,” he said. Abramowitz’s major complaint is not with the candidate, but with the system: The Electoral College is “a disaster,” he said, especially for Democrats. Proponents of the Electoral College say the unique secondhand method of selecting a president makes for a more cohesive country, contributes to political stability and enhances the status of minority interests. Abramowitz said, however, that the system gives too much weight to about a dozen battleground states, and that it devalues votes in the rest of the country. Nationwide, Hillary Clinton won the popular vote by about 2.5 million votes. In comparison, Donald Trump won the battleground states of Michigan, Pennsylvania and Wisconsin with margins of victories totaling about 100,000 votes in the three states combined. And the three states’ combined 46 electoral votes were the difference in Trump’s 306—232 Electoral College win. In the first time in the 49 years that the Gallup Poll has asked, less than half of Americans favor replacing the Electoral College with a nationwide popular vote for president. In the survey taken after the election, 49 percent favored amending the U.S. Constitution to replace the Electoral College with a popular vote; 47 percent of those responding said they want to keep the Electoral College. Just 19 percent of Republicans and Republican-leaning independents favor scrapping the Electoral College. The Gallup telephone survey of 1,021 adults, taken on Nov. 28 and 29, has a 4-point margin of error.